I've thought about that but I'm not sure. I'm leaning towards the first one though but the second one looks cleaner. I haven't installed these yet, but I liked the idea. The LEDs replace the lic plate bolts. Yeah I've seen those as well. Only thing is my tag is mounted from the bottom on a hinge. I suppose I could use those and just bolt them in place of my top holes on the tag if I were to go with those on mine. Let me know how yours goes. I'd like to see pics when you get them installed and lit up. Will do, but it's probably weeks away. Low on my priorities. Waiting on some nuts to replace the rounded off ones on the shock linkage. They were torqued way more than 33lbs. Oh, and if you're tempted to unscrew the rearview mirror from the stalk, don't. No captive nut, a spring, washer, then nut. No way to put it back on without cutting into the plastic. Sheez! i might have missed it but, what did you use to seal the housing back up? just silicone or was it the nissan stuff you mentioned in the other post? I simply slide the red lens back over the housing and pushed it together as tight as I could. Then I reheated the housing edge until I got it soft enough that I could slide the lens onto the housing to lock in the "ribs" in the slots. Then I went around the housing edge and pushed hard to make the sealant 'squash' in the channel to make for a even tighter seal. I kept pressure on the housing edge until it was cool to the touch. After that I laid down some rubber butyl just as an extra measure for a good weathertight seal. Although I don't think its necessary if you reheat and seal the housing good as there is enough of the stock sealant to reuse and get a good reseal. It's just a preference to apply more sealant just "in case" you know . Has anyone tried experimenting with Cree, Seoul and Luxeon emitters with a driver board? They are super bright depending on the current levels you run it at. The Cree Q5 puts out 260 lumens (white) when driven at 1000mA. The colored ones, red and amber, put out a bit less when driven at spec but it's still bright as hell. They'd have to be mounted on a considerable heatsink, seeing as how running lights / brake lights are always on. I'm running 2 Luxeon 3s. I made the bracket from aluminum and put thermal paste between that and the LEDs for heat transfer. There shouldn't be that much heat in the LEDs in the running light mode if you're running them at 1/4 current. However the resistor for the running light will get hotter than the one for the brake. I used 10w resistors. Here's a shot of them taken with camera flash. Last edited by Gregw; 07-02-2008 at 04:24 AM. Congrats on a great How-to! Moved to KB and stickied. Thanks Greg. Hopefully it will help someone out if they decide to do it on here. 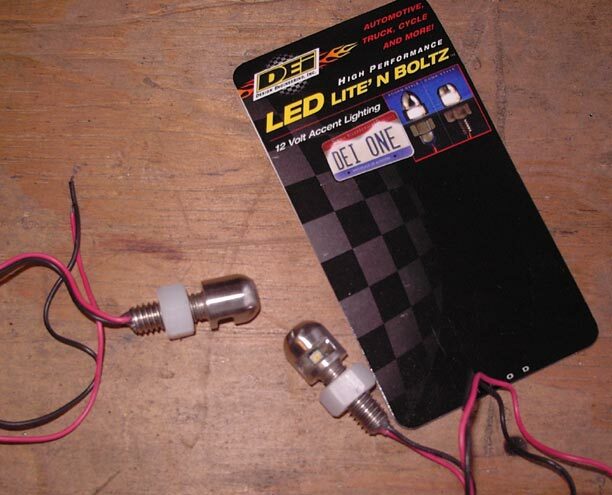 I went out last night on my bike and bought pretty much the exact same LED assembly, the only difference was there being no mounting points, but I epoxyed it and it was fine. I actually figured a way to integrate a license plate LED bar into it. I like the white LED plate lights, but most LEDs are a cool white, which looks a bit ricer to me. The new Lexus & some BMW cars have warm white LEDs, and I want that. Which is rated at 4500k and outputs lots of light. The website states it's not weatherproof, but I'm planning to pot the assembly with epoxy anyway. My plan was to mount it right on the bottom of the taillight assembly and route the wires through the inside. It would be perfect for the way my plate is setup as well. 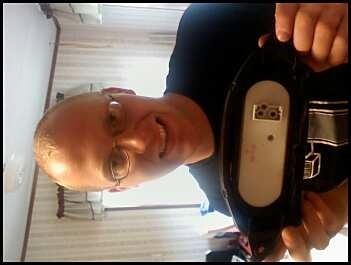 Awesome find Anto! That is the same kind of lighting I am looking for on the plate. Nothing blueish but pure white like like the newer Lexus'. I've bought form them before on other LED stuff for my old car. At $4.95 you can't go wrong, even with making it waterproof later on. Here is my LED retrofit. The clear cover is only temporary. I'll keep it for a few days and then swap the OEM red one back. Thanks to Haknslash for a cool, cheap mod. LOL! Looks like you sacrificed your computer harddrive to wire up the tail light. Installed the plate lights yesterday. They look nice, not blue tinted. To the eye it actually looks a little warmer than the lexus lights, it may just be me. I still like it better though. I realized that even though the kelvin ratings are the same through different LED assemblies, colors can be different. That light bar was rated at 4500k. It appears to be closer toward 3000k. The high power WHP light was rated at 4500k, but looks much cooler than this. Last edited by Anto; 07-15-2008 at 02:37 AM. Looks very good to me Anto. I need to get my retro going. This halogen stuff is no fun. Very nice mod..... I will be doing the same. What did you use to re-seal the lens? Just a good plastic cement? Steve, he mentioned this on the previous page. There is plenty of sealant left. Re-heat and stick the lens back in. If you want to use extra he uses the Nissan sealant. I just did this today. Very easy. About an honest hour and you're done. Can't believe how simple it was. Thanks Hak, informative and simple write-up. when in traffic i bet the leds stand out of the crowd. I can't tell myself, but my riding buddies say that it is ridiculously bright, which is good in my mind. 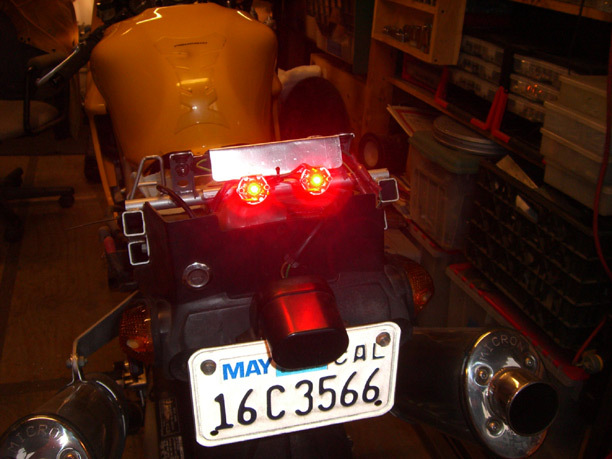 This and LED turn signals should help keep me noticed from behind. Did the mod.... Very cool . Took a couple of hours,but well worth the effort.Cheers Haknslash.... You da Man!! Yup you got it. There should be enough sealant but if you need more, use the Nissan butyl stuff. Very nice and OEM. Glad you modded yours and like it. Much safer and better looking than stock for sure! You're very much welcome! Glad to share. Hak, glad to see you active again. This mod is so great, after mentioning it and showing it to my dad, he did it on his 94 VFR750, I'll have to get him to take some pictures. I did this mod today, it worked just like the instructions said so. It was super easy, except I ran out of connectors for the wires, so I had to rig something up; because I did not want to solder them because then I would have to cut the wire in order to get the cowl off..
Next thing is to find some LED's for the license plate light. this is a mod I am doing ASAP.... to Advanced Auto tomorrow at lunch..! Glad it worked out great for you. Very simple and easy mod to do, but VERY functional in terms of being seen. Plus it just looks cool.